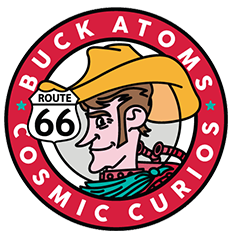 Description: Buck Atom's Cosmic Curious on historic Route 66 in Tulsa is looking for an employee to work weekdays 5-9pm & Sundays. Must be outgoing and LOVE Oklahoma & Route 66. Retail experience is a plus. Interested? Fill out an application at Buck's located at 1347 E. 11th Street in Tulsa. Description: DaVinci's is looking for people who have a positive attitude, are hard workers, great communicators, dependable, and willing to learn. Barista experience is not necessary, but is helpful. Description: Full-Time positions that include competitive pay, full medical, retirement, vacation, and other insurance. Interested? 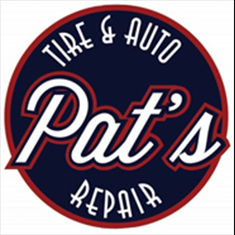 Apply in person at 322 N. Walker Avenue or 10970 N. May Avenue in OKC. Must have valid drivers license. 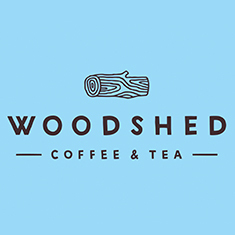 Description: Woodshed Coffee & Tea is looking for experienced baristas to fill out thier weekend schedule (including Sundays.) The ideal appicant may be someone who wants to keep their skills fresh behind the bar, but works another "9-5" throughout the week. Interested? DM @woodshedtea or stop by the shop in person at 7518D N. May Avenue in OKC and ask for Logan Waugh. Description: Lone Wolf Banh Mi is looking to hire part-time and full-time employees to join their growing team in Tulsa. Description: Stella Modern Italian Cuisine in Midtown OKC is looking for servers, hosts, server assistants and line cooks to work in a fun environment. They offer flexible schedules and great money. Interested? Apply in person at 1201 N. Walker Avenue in Oklahoma City betwen 2pm-4pm. Description: Aloha Shave Ice + Coffee Shoppe in Bethany is looking for someone who can start as a lead and work into an assistant manager position by Spring. Must have prior customer service experience. Interested? Apply in person at Aloha Shave Ice + Coffee Shoppe, 8000 NW 39th Expressway in Bethany. 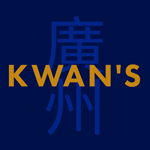 Description: If you have excellent service skills and enjoy working in a friendly and beautiful environment, Kwan's would love to have you join the team! Description: If you are looking for a new place to grow in 2019, Good Egg Dining would love to talk to you! They are in search of restaurant managers and solid sous chefs. Description: Tamashii Ramen House is an extremely busy restaurant looking to hire fun crew members who enjoy meeting people in a fast paced & friendly evironment. They are currently hiring Front Of House positions for their Edmond location. Interested? Email tamashiiramenya@gmail.com for more information. Description: Blue Seven has been a fixture in OKC's local businesses scene for over 15 years. They are all about uniquely authentic individual styling through clothing, gifts, and accessories. They strive to serve their customers, their employees, and their community by offering a retail experience that focuses on interpersonal communication and connection, as well as quality products and services. They value the strengths of all their employees. and strive to utilize individual skill sets to ensure a fulfilling career experience. Description: Do you love ice cream and have a passion for making people smile? Roxy's is looking for Ice Cream Scoopers at all four locations with shifts available from 11:30am-5pm and 5pm-10pm. Description: We're looking to add some solid Managers and Team Leaders to their crew! We're looking for positive, natural born leaders. No manager experience necessary. If you're looking to further your career, join A Good Egg Dining Group, where there are ample opportunities to grow. Interested? Visit Neighborhood JAM and apply in person from 6am - 5pm every day. Description: If your mom ever called you a "good egg" then you might be a fit for us! Okay, even if she didn't, don't count yourself out. People are important to us. We especially love individuals who can bring their own unique flavor to our team. We are always looking for our next good egg! Are you looking for hands-on learning? A place to grow your passion into a profession? Our family of local restaurants span from quick service to fine dining, burgers and brews to wagyu and wine - and we're looking to add to our Good Egg family! Interested? Fill out an application here! Description: King's Green Cleaning is looking for a motivated, customer service oriented, reliable individual to join our growing team. Must be able to pass background check and have valid drivers license. Paid training is provided. Looking to work in a team environment? We’re growing and we would love to have you on our team! We’re passionate about creating memorable experiences for our guests through life-changing pizza and excellent service. Sound like something you’d like to be part of? Come join the team at our new restaurant in Midtown OKC!